Most of you know this, but we LOVE food! Especially, food from Disney! 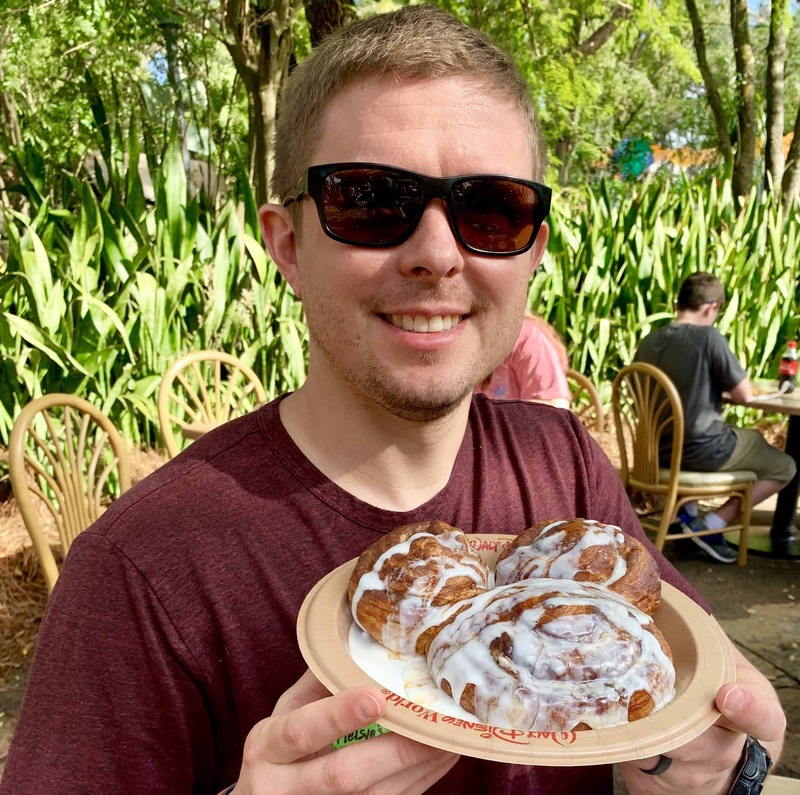 In this post, we’re going to share with you our best eats in Disney World and a few outside the parks as well. We’ll also tell you where you can find these treats, to save yourself time trying to hunt them down. If you are looking for a place to stay while visiting Disney World, take a look at our review of Disney’s Art of Animation Resort. 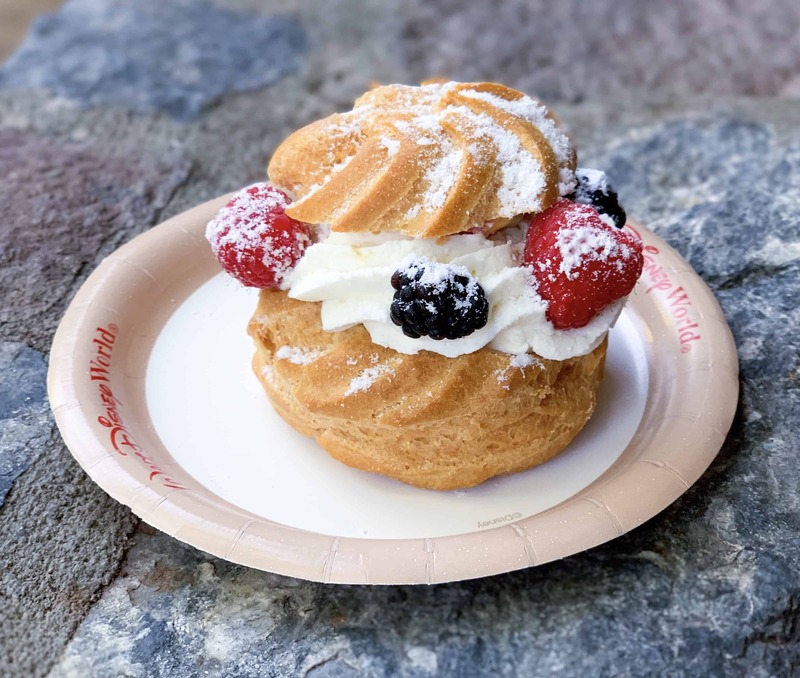 Our first recommendation is my favorite place out of all the parks, Kringla Bakeri Og Kafe. This Norwegian bakery was so good! We had three different pastries, and they were equally amazing! Although I’m sharing a photo of the berry cream puff, my daughter got the school bread and she LOVED it! Bryan got the troll horn and raved about it as well. You can find this bakery directly on the left as when enter the Norway section of Epcot. You’re going to notice that most of what we’re sharing are going to be sweets, but it’s vacation, so it’s all good! Second recommendation for Epcot is the cannoli cupcake. This can easily be missed, since it’s sold at a gelato and coffee stand. However, I suggest you grab ice cream elsewhere (I’ll share that in a moment), and get an espresso and cannoli cupcake from the Italy Gelato Stand. The stand is right on the main walkway…right outside Italy. Okay, now for the ice cream I mentioned earlier. This was recommended to us by one of our followers, and I’m so thankful she did! L’Artisan des Glaces did not disappoint. 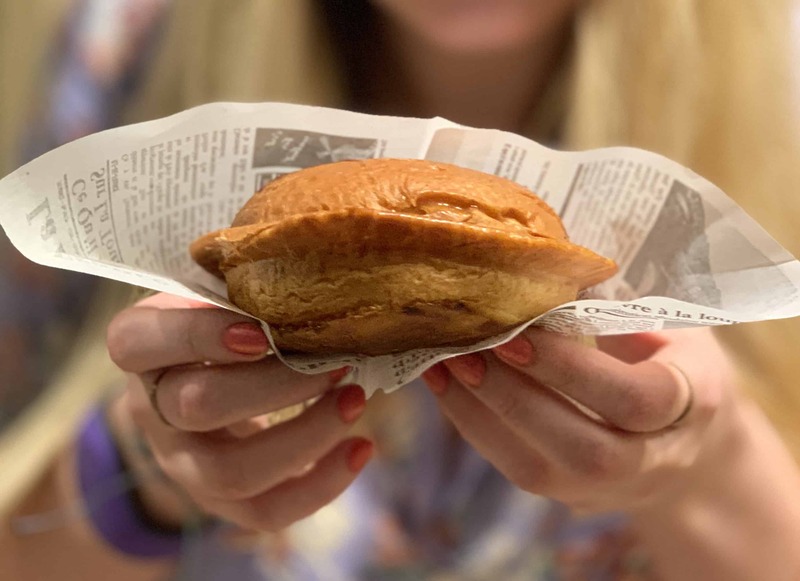 Here we have ice cream stuffed brioche. Think…gourmet ice cream sandwich. Their flavors were amazing and the serving sizes were big! You can find this creamery tucked in the country of France. 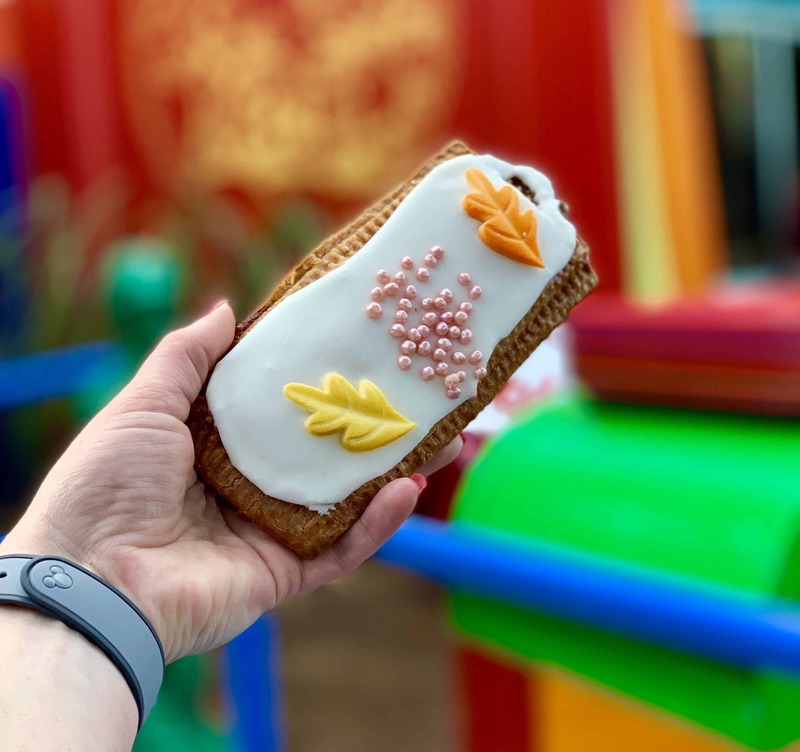 It’ll be on your left hand side before you get to the French patisserie, Les Halles Boulangerie. .
We recommend Satu’li Canteen for both an excellent meal and for their blueberry cream cheese mousse. I mean, just look at this dessert! It looks like something that would be served in a five star restaurant. Oh! And tastes like it too. 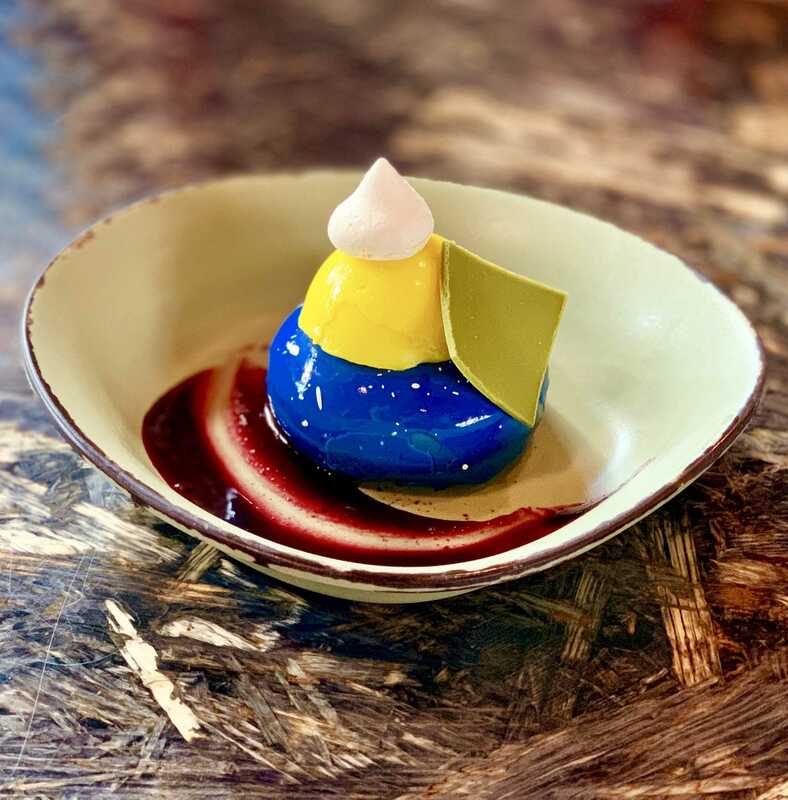 You can find this restaurant in Pandora – The World of AVATAR. When we visited Disney World almost ten years ago, we ate at BOMA – Flavors of Africa. Now, I know this isn’t IN Animal Kingdom park, but it is in the Animal Kingdom Lodge – Jambo House. (Remember Jambo House if you decide to take a Disney bus, because we got off at the wrong Animal Kingdom Lodge.) Anyway, y’all! It’s so good, that we had to come back. The flavors are simply amazing, and the buffet offers over 70 items. My favorite? These coffee mousse filled chocolate cups. I ate like four of them! If you haven’t caught on, I’m all about sweets. Kusafiri Bakery is not to be missed. At first I thought the Colossal Cinnamon Roll was just going to be another cinnamon roll. However, it was so good! It was extremely flaky and had the perfect amount of frosting on it. It is colossal, like the name states, so get one to share. We bought two and shared them between the four of us, along with a sausage, egg, and cheese biscuit (which I also recommend.) You can find this plate full of yumminess right outside the Kilimanjaro Safaris. There was a ton of seating around this bakery too. Alright. I think whenI first shared this on my stories, my Instagram about shutdown due to the tons of messages I got. Not really, but my DMs were blowing up for that 24 hour period. So, here are the details. 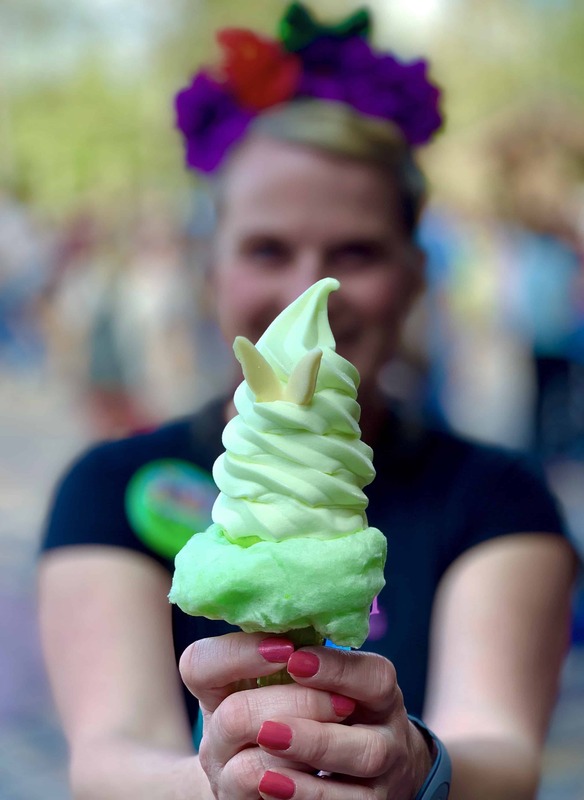 This is Tink’s Pixie-Dusted Cone, and it can be found right outside the Peter Pan ride at Storybook Treats. It’s worth the $5 price tag too. 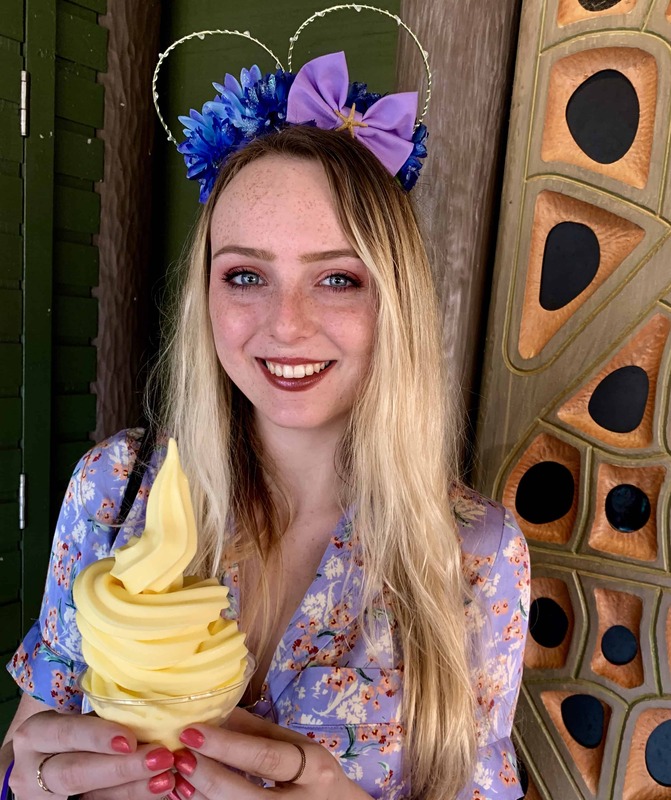 I’m adding the famous Dole Whip, well because, it’s the OG of snacks at Disney. To be honest, it’s not my favorite, but my family loves them. I did try the Dole Whip Pineapple Upside Down Cake, and I thought it was better. You can find these babies at Aloha Isle in Adventureland. Across from the Aladdin ride. 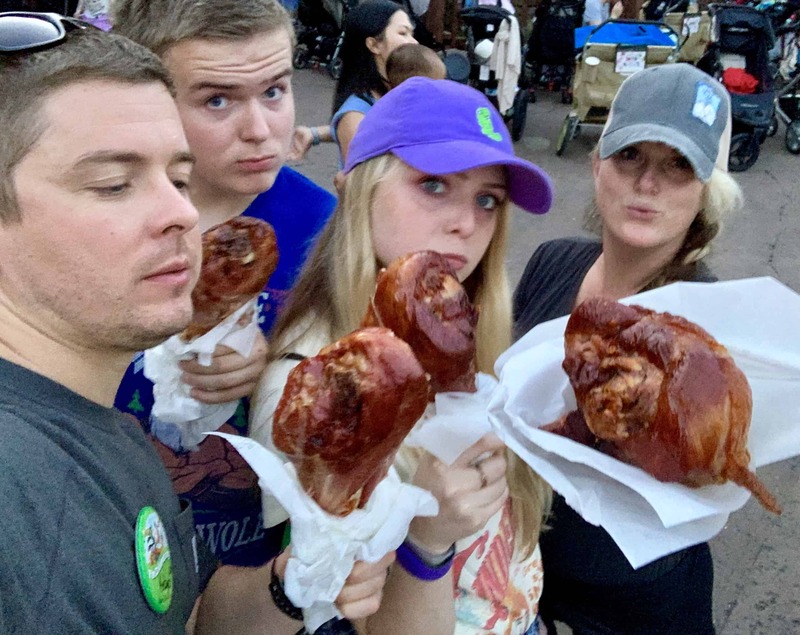 Also, based on another recommendation from one of our followers was the giant turkey leg. As you can see, they’re HUGE! I tell you what though, these suckers are good! Messy, but they’re so juicy and they’ll fill you right up. They are a little pricey, I think almost $13 apiece, but like I said, they’re extremely filling. We got these from Prince Eric’s Village Market in Fantasyland. After riding the Slinky Dog Dash, I needed something to settle my stomach. This glorified “pop tart” was just what I needed. I was a little confused with the decorations, since it was January when we were in the parks, but the taste?! Oh, man! So. Good. The flavor was a cran-apple filling with a cinnamon crust. You can find this right across from the Slinky Dog Dash at Woody’s Lunch Box. 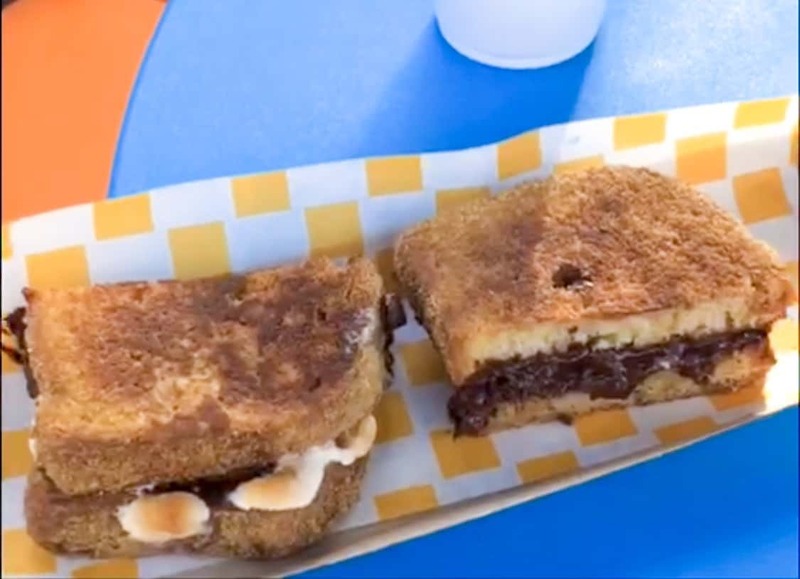 Another popular snack you can find at Woody’s Lunch Box is the S’mores French Toast Sandwich. Unfortunately, I wasn’t able to grab a better photo, but I think you can see enough to know that you need to get one of these for yourself when you’re at Hollywood Studios. Amiright?! 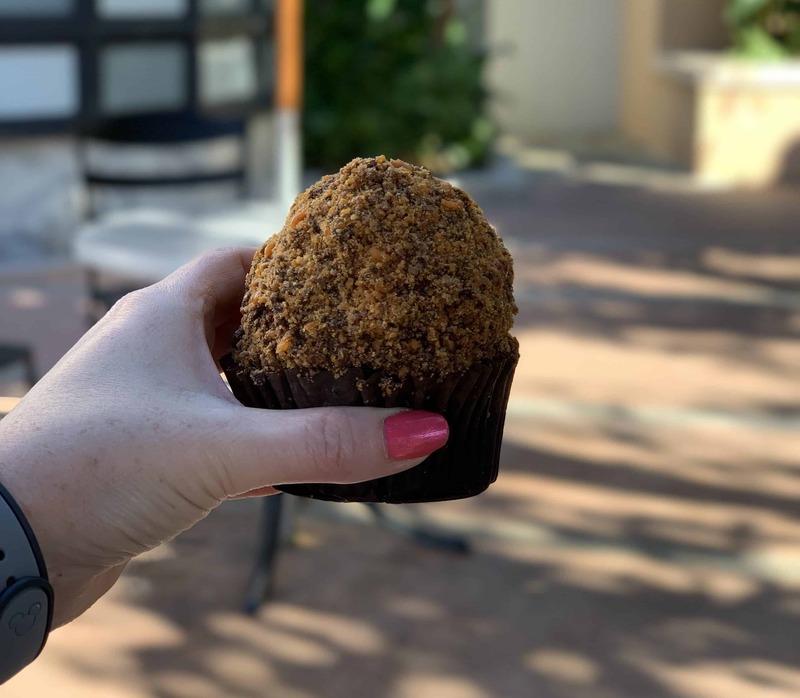 Our last recommendation for Hollywood Studios is this mountain of a cupcake. This Chocolate Butterfinger Cupcake is a monster of a dessert. This sucker is HUGE, and is stuffed with a chocolate ganache and a mound of vanilla buttercream icing. it’s actually so large, that we had to split it. I could only eat half. You have grab yourself one of these and a coffee at The Trolley Car Cafe, which is pretty much Starbucks. 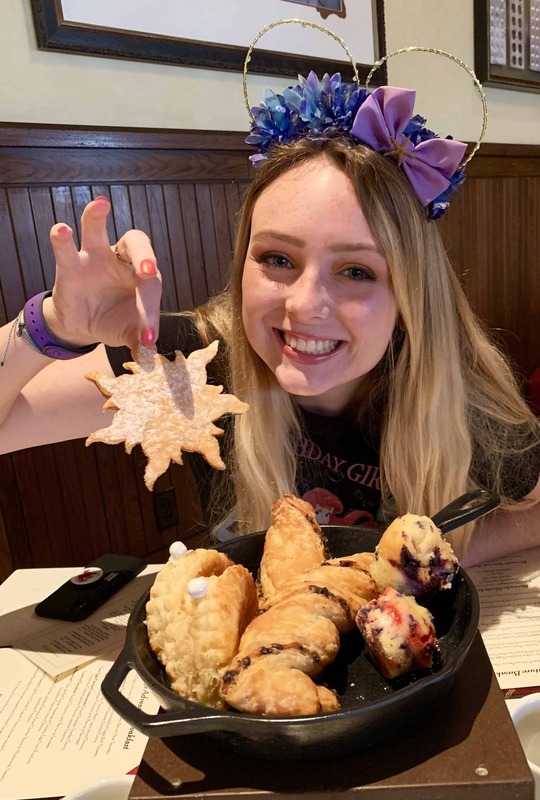 I wasn’t sure what to expect when Kelsye picked the Bon Voyage Adventure Breakfast for her birthday meal. However, we left full and blown away by their food! It was my second favorite full meal that we had at a Disney property. The characters, Ariel, Eric, Rapunzel, and Flynn Rider stopped by each table to take photos and interact with the guests. You can book this breakfast at the Trattoria al Forno Restaurant located on Disney’s BoardWalk. Depending on where you’re staying, this may require a little bit of work, but I think this little cupcake is worth it! 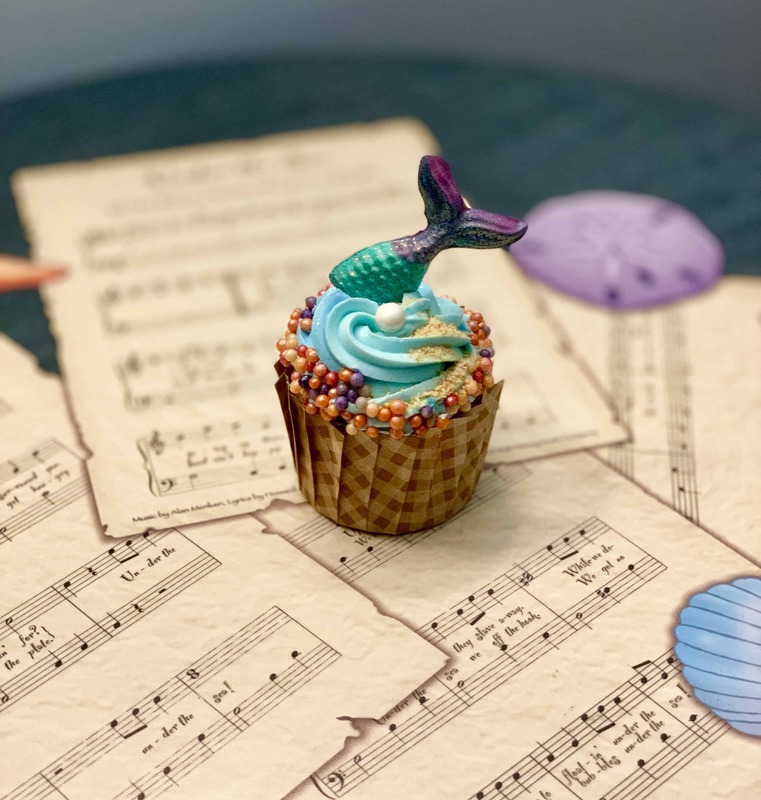 This pineapple filled mermaid cupcake can be found at the Art of Animation hotel’s restaurant, Landscape of Flavors. It’s so good that we went back and got another one! That says a lot, because we like to try new and different things. So, to go back and get it a second time, you know it’s good! 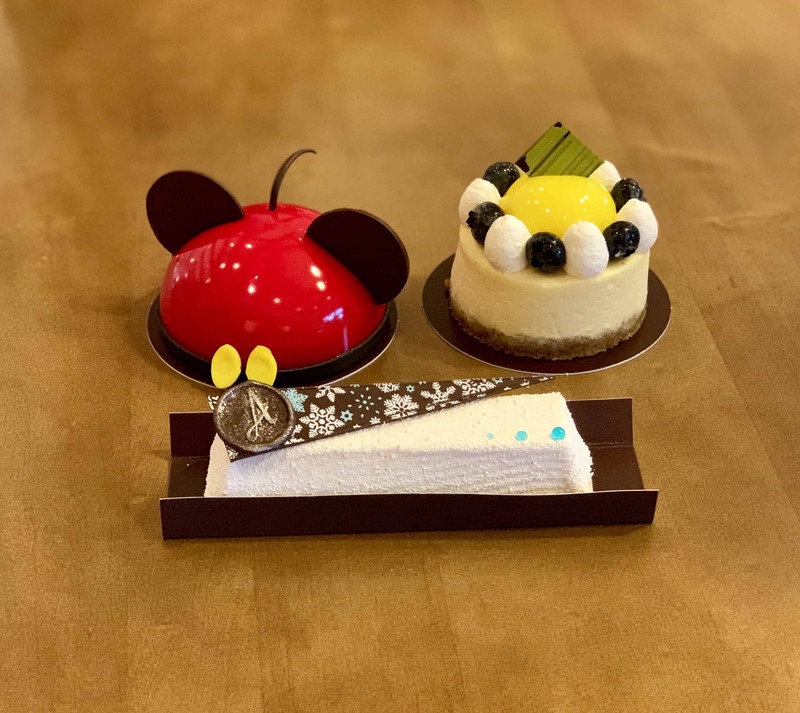 Our last but not least, any pastry from Amorette’s Patisserie in Disney Springs. Everything we tried was so good, and the cool thing, you can watch them make these cute Mickey chocolate mousses. 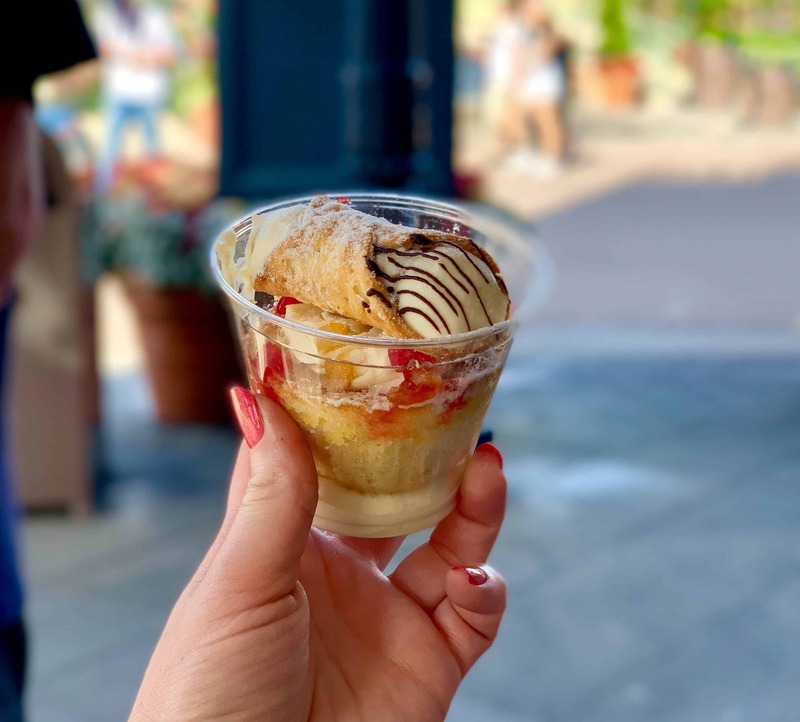 Plus, this dessert might just be the most Disney instagrammable snack out there. Um, well, maybe…it’s at least up there. Plan on a little splurging money for some of these snacks. 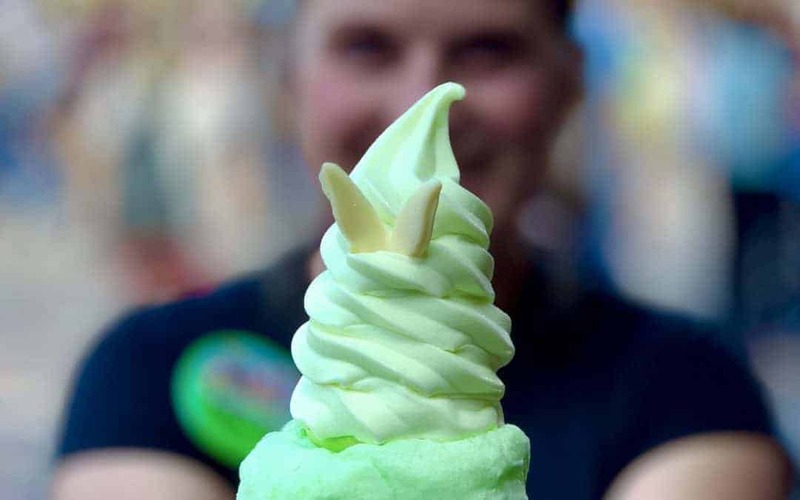 Not only are they worth it, but some of these can only be found inside the Disney Parks. 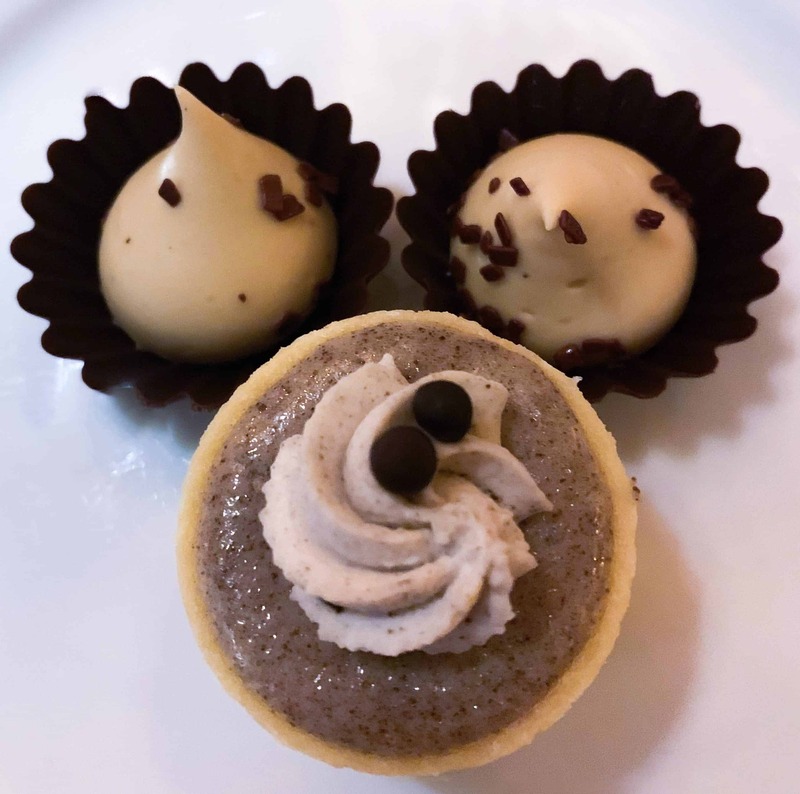 I feel like indulging on some of these treats, that you can’t get elsewhere, is part of the fun and Disney experience.